The American Racer Cup Challenge events toward the Insinger Performance Regional cash are approaching on Memorial Day Weekend. These ‘challenge’ events in conjunction with the Short Track Super Series offer bonus points solely toward the REGIONAL points with money sponsored by Bruce Insinger. MILLSBORO, DE – The 2018 American Racer Cup presented by Sunoco gets the official “green flag” this Friday night, April 13. Points begin tabulating for the lucrative home-track program this Friday night. The standings will be tracked through Labor Day Weekend when overall, regional and home-track champions will be crowned. Big Diamond Speedway in Minersville, Pa., will host its Season Opener Friday and drivers at the Coal Region track will be the first to accrue American Racer Cup points. A cash point fund of $51,450 for Modified and Sportsman teams is in place, with thousands more in tire giveaways planned. The program is presented by Sunoco Race Fuels, Insinger Performance, American Racer and Lias Tire. 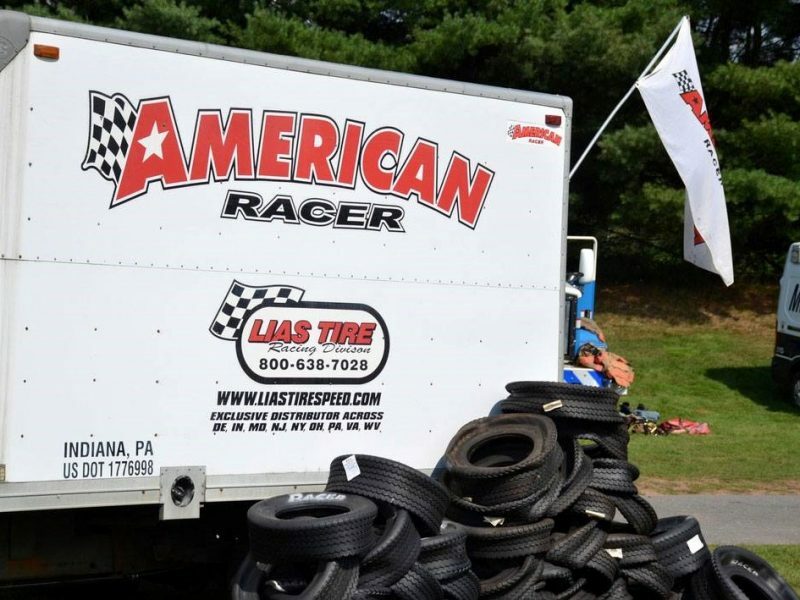 Racers from 14 facilities utilizing American Racer tires in New York, New Jersey, Pennsylvania and Delaware, by simply competing at their home track(s), have the opportunity to share in rewards. Bruce Insinger of Insinger Performance has posted another $5,700 in regional cash ($2,850 to each region). Drivers in both the North and South regions will be eligible for the following point fund: 1) $1,000; 2) $750; 3) $500; 4) $350; 5) $250. Each track is eligible for 12 tires to be given away during the season, not to mention pre-season drawings for registered drivers and a ‘Dog Days of Summer’ tire given away on Aug. 1 to each speedway’s point leader. At year-end, the top-five in the American Racer Cup individual track Modified points will receive: champion – five tires; second – four tires; third – three tires; fourth – two tires; fifth – one tire. 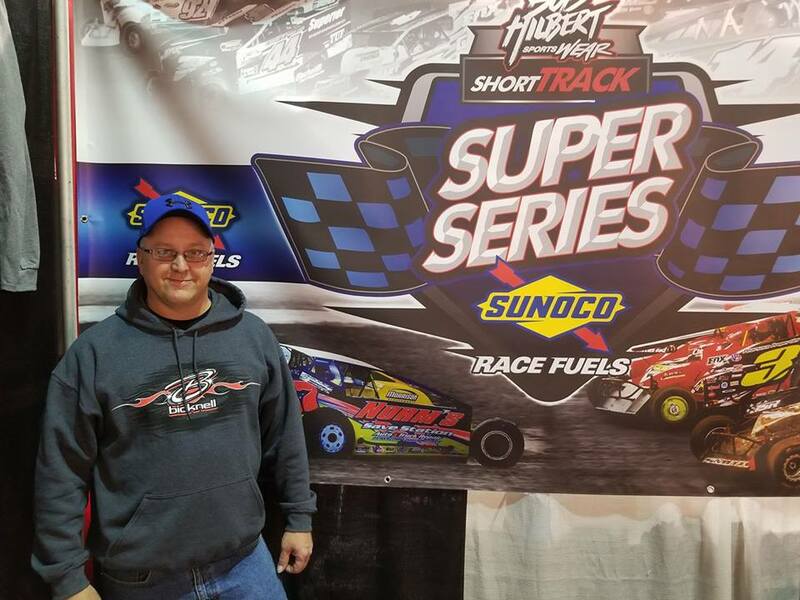 The American Racer Cup is one half of a huge bonus program teamed with the Bob Hilbert Sportswear Short Track Super Series (STSS) Fueled By Sunoco. Should a driver win the overall American Racer Cup and both the North and South regions of the STSS, they will collect a $25,000 cash bonus courtesy of Sunoco and Insinger Performance. A driver winning the American Racer Cup overall and the North or South STSS will pocket $10,000 cash. 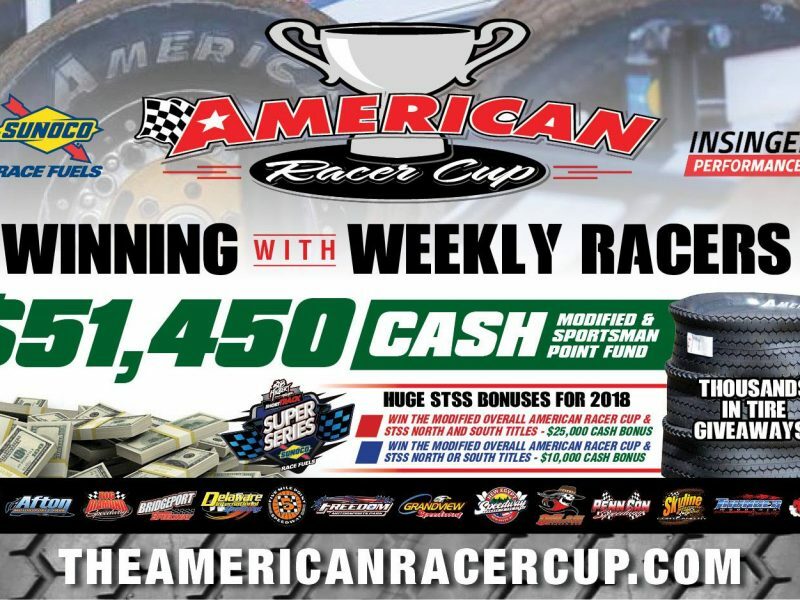 Sportsman (top-15 American Racer Cup overall as ranked among the participating tracks) at year-end will share in the following $6,750 point fund: 1) $1,500; 2) $1,000; 3) $750; 4) $600; 5) $500; 6) $450; 7) $400; 8) $350; 9) $300; 10) $250; 11) $200; 12) $150; 13-15) $100. Insinger Performance Regional bonuses ($3,000 total – $1,500 each region) are in place for Sportsman North and South Regions: 1) $500; 2) $400; 3) $300; 4) $200; 5) $100. Each track will distribute 12 certificates worth $85 off the purchase of an American Racer tire via a random drawing of registered racers. One tire will be awarded to the highest-ranked, registered driver in point standings at each participating speedway as of Aug. 1. Year-end home track tire awards for Sportsman competitors are as follows: champion- two tires; second – one tire; third – $85 certificate. WHO HAS TAKEN HOME A FREE TIRE ALREADY IN 2018? Our “pre-season” giveaways are completed. Who has been lucky enough to get a free tire so far in 2018? As of late last week, all unclaimed certificates have been mailed. MILLSBORO, DE – For the ninth consecutive season, the American Racer Cup presented by Sunoco Race Fuels will “win with weekly racers” in 2018. 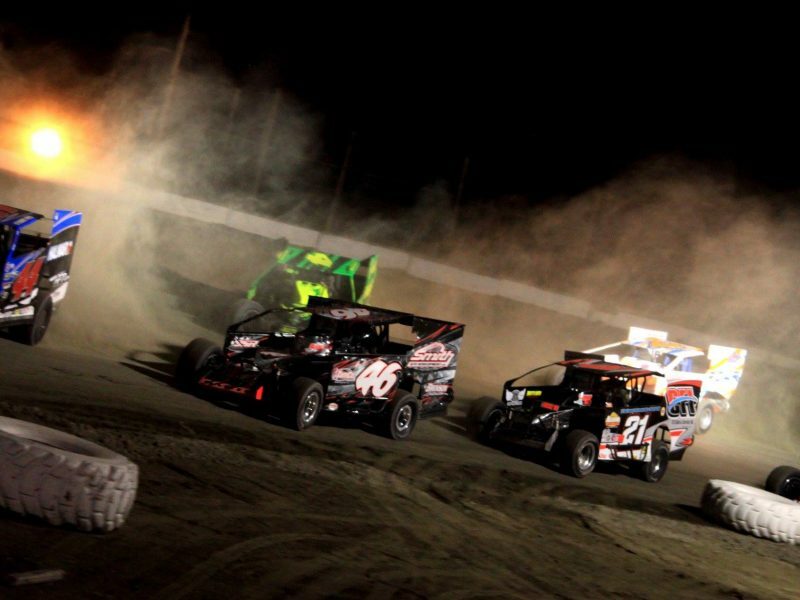 The lucrative “home-track” program for Modified and Sportsman competitors across four states gets underway on Friday, April 13. Points will be tracked through Labor Day weekend with overall, regional and home-track champions crowned. A cash point fund of $51,450 for Modified and Sportsman teams is in place, with thousands more in tire giveaways planned. Competitor registration for ’18 is ongoing. As of March 26, a total of 178 drivers have signed up for the program: 103 Modifieds and 75 Sportsman. Drivers may register through May 1. Racers from 14 facilities utilizing American Racer tires in New York, New Jersey, Pennsylvania and Delaware, by simply competing at their home track(s), have the opportunity to share in rewards thanks to the American Racer Cup and sponsors Sunoco Race Fuels, Lias Tire and Insinger Performance. Two pre-season giveaways have already taken place. The first, in January at the Motorsports Racecar & Trade Show in Oaks, Pa., with Joe Dgien (Modified) and Bobby Bracall (Sportsman) the recipients. At Georgetown (Del.) Speedway on March 17, a second, larger random drawing took place. Modified recipients were Travis Smith, Jeff Bubori, Donnie Lawson and Dgien. In the Sportsman division, Kenny Hammond, Adam White, Ryan Stone and Stephen Kemery earned the free tire certificate. MILLSBORO, DE – Will there be a $57,500 champion in 2018? 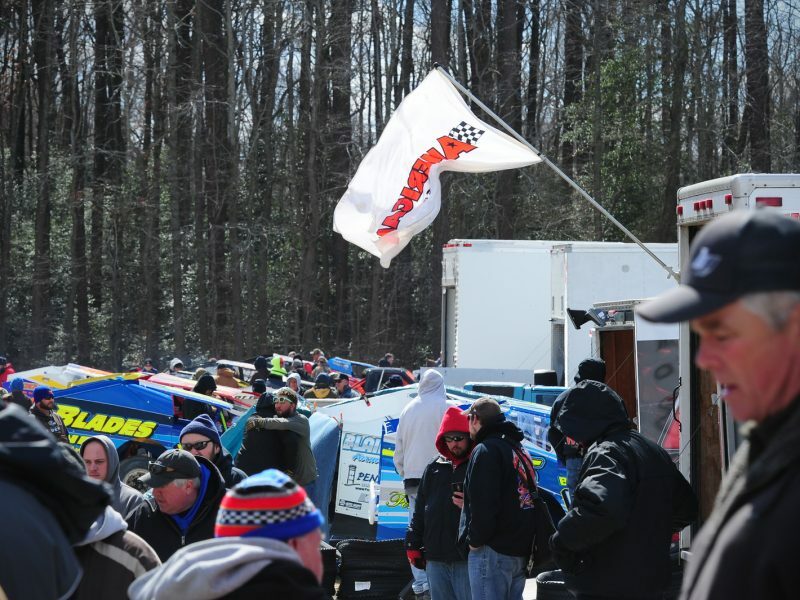 Race fans can witness this historic chase get underway on March 16-17 when the Bob Hilbert Sportswear Short Track Super Series (STSS) Fueled By Sunoco opens its season with the Melvin L. Joseph Memorial Weekend at Delaware’s Georgetown Speedway. Thanks to the efforts of Sunoco Race Fuels and Insinger Performance, the STSS offers the most lucrative champion’s share in the country for big-block/small-block Modified racers this season. Series management has announced the STSS Halmar International North Region championship will offer $12,500 for 10 races, while the eight-race Velocita-USA South Region title pays $10,000. The ‘home-track’ American Racer Cup presented by Sunoco pays $10,000 to the overall champion based upon a driver’s 10 best finishes at their respective home track utilizing American Racer tires. Now – via a partnership with Sunoco and Insinger Performance proprietor Bruce Insinger – very healthy bonuses are available to competitors. Should a driver win the American Racer Cup overall crown and both the STSS North and South Regions, they will receive a cash bonus of $25,000! This ‘Grand Champion’ would be in line to collect a massive $57,500 at year-end. A $10,000 cash bonus awaits should a driver win the American Racer Cup plus the STSS North or South Region. The richest season in history is approaching quickly. For the STSS Velocita-USA South Region, the Season Opener is Saturday, March 17 at Georgetown with the Melvin L. Joseph Memorial, a 49-lap, $6,949-to-win event that also serves as the 50th race in series history. 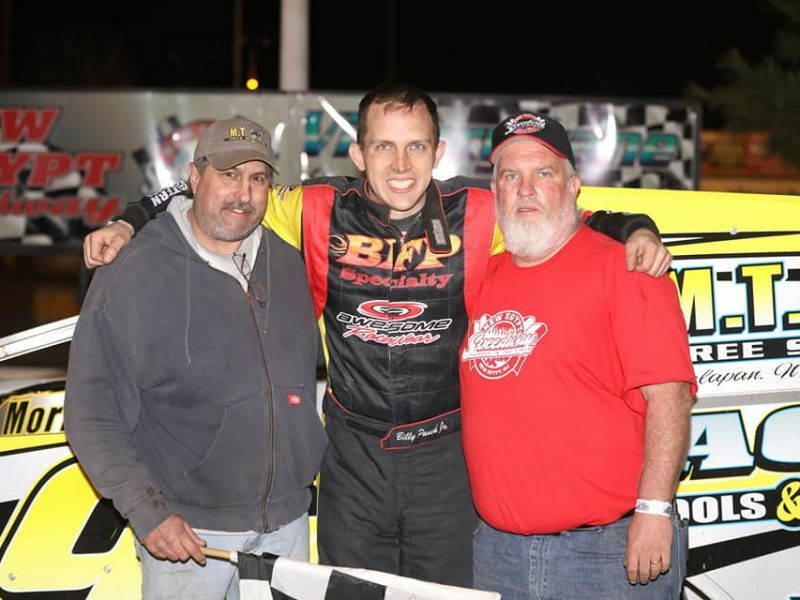 The Halmar International North Region gets its start at N.Y.’s Orange County Fair Speedway on Sunday, April 8 with the fifth annual ‘Hard Clay Open’ offering $5,000 to win for 50 laps around the Legendary House of Power. Points begin to tabulate for the American Racer Cup on April 13, running through Labor Day Weekend (Monday, Sept. 3). MILLSBORO, DE – A hefty ‘pre-season’ tire giveaway is looming for the American Racer Cup presented by Sunoco. 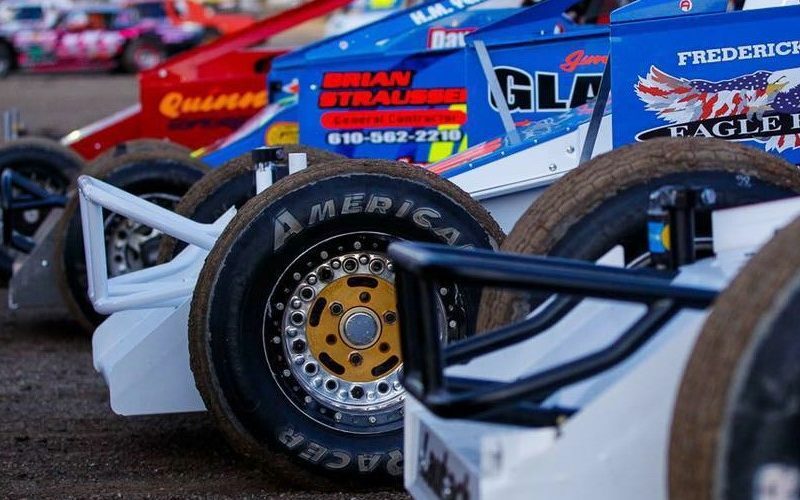 On March 17, the second tire giveaway of the year is planned for registered American Racer Cup drivers in both the Modified and Sportsman divisions. The drawing will take place at the Northeast Modified opener at Georgetown (Del.) Speedway, but drivers need not be present to win. The American Racer Cup Facebook page will broadcast the drawing live. Modified drivers will be eligible for four (4) American Racer tire certificates during the drawing. Sportsman teams have the opportunity to win four (4) American Racer certificates for $85 off the purchase of a tire. All drivers registered for the American Racer Cup through March 17 will be entered into the drawings. One ‘pre-season’ tire giveaway has already taken place in 2018 with Joe Dgien (Modified) and Bobby Bracall (Sportsman) the recipients. The first giveaway was held at the Motorsports Racecar & Trade Show in Oaks, Pa. The $50,000-plus American Racer Cup is set for its ninth season in 2018, once again rewarding weekly Modified and Sportsman racers at home tracks across New York, New Jersey, Pennsylvania and Delaware. Aside from the huge cash payout, tire giveaways are a key part of the Cup program. The American Racer Cup website has been overhauled detailing 2018 information and can be found on the web at www.theamericanracercup.com. Thank you to all our visitors at the Motorsports Racecar & Trade Show in Oaks, Pa., over the weekend of January 19-21. Congratulations to our first “pre-season” tire giveaway winners Joe Dgien (Modified) and Bobby Bracall (Sportsman). MILLSBORO, DE – The first ‘pre-season’ tire giveaway for the American Racer Cup presented by Sunoco is fast approaching. 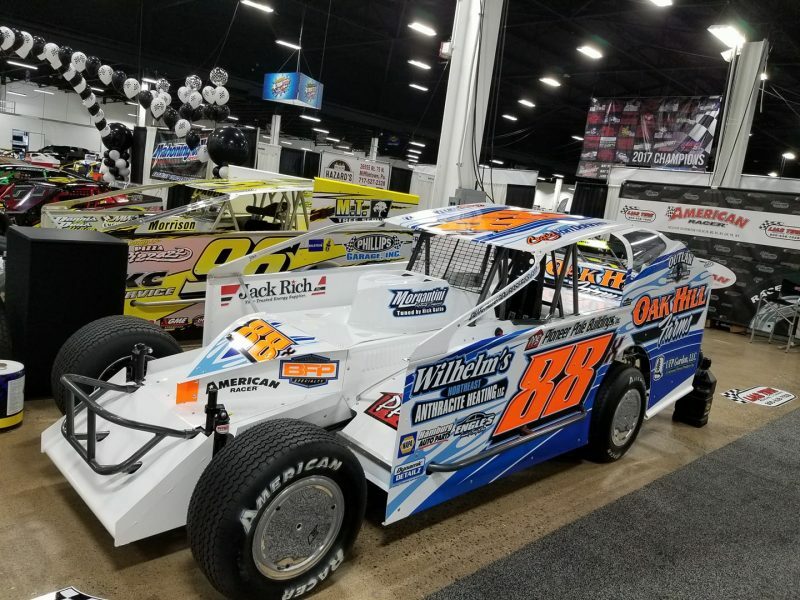 The first of two ‘pre-season’ giveaways is scheduled for the Motorsports 2018 Race Car & Trade Show in Oaks, Pa., with a drawing on Sunday (Jan. 21) of the three-day show. Both the Modifieds and Sportsman registered for the ’18 Cup at that point will be eligible. One FREE tire will be given away via a random draw to each division. Once again, the draw will be shown on Facebook Live and drivers will not need to be present to win. The second giveaway prior to the start of the regular season takes place on March 17. It will be held at the drivers’ meeting prior to the start of the Melvin L. Joseph Memorial at Georgetown (Del.) Speedway. Again, drivers need not be present to win. 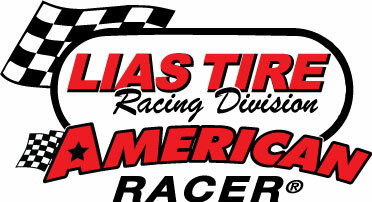 At the March 17 giveaway, registered Modified drivers will have the opportunity to win four FREE American Racer tires. Sportsman drivers will have four $85 certificates available. American Racer Cup management has begun the distribution of ’17 point fund checks. 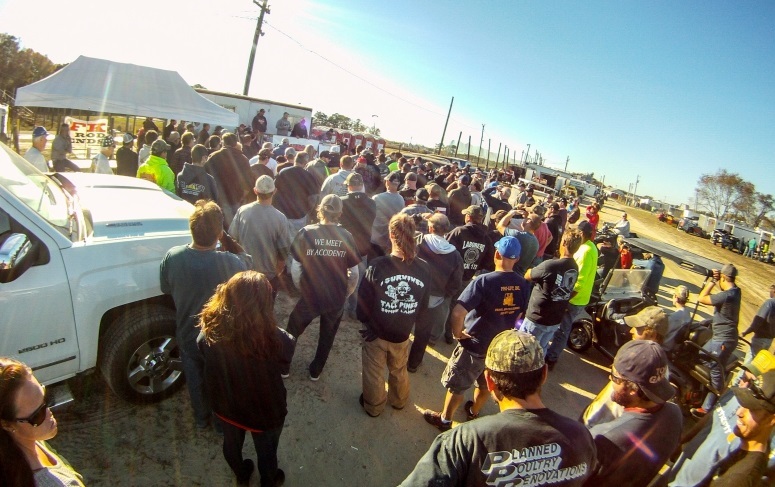 All drivers will be paid by the Motorsports Show in January. Year-end tire certificates have been mailed.